Short sales and foreclosures begin similarly – a homeowner can no longer afford to make his mortgage payments, so one of two things usually occurs. Either he's approved by his lender to sell his home for less than what he owes on it, or the lender forecloses and takes the home back. In either case, it becomes available to a new buyer. That's where the similarities may end, however. Most foreclosures are offered at auction before the lender actually takes the home back. If you bid enough to cover the existing mortgage, the home is usually yours. In some states, the lenders themselves set the opening bids – their bottom line for what they're willing to accept for the property. This is typically close to the mortgage balance, however. By definition, a short sale home sells for less than what the owner owes on it, so you may not have to come up with as much money. You might find yourself responsible for delinquent property taxes and other fees with a short sale, however, so factor these in. If a lender has already taken a foreclosed home back because no one bid enough on it at auction, it might be more willing to negotiate the sales price rather than sit on the property for an extended period of time, waiting for a better offer. 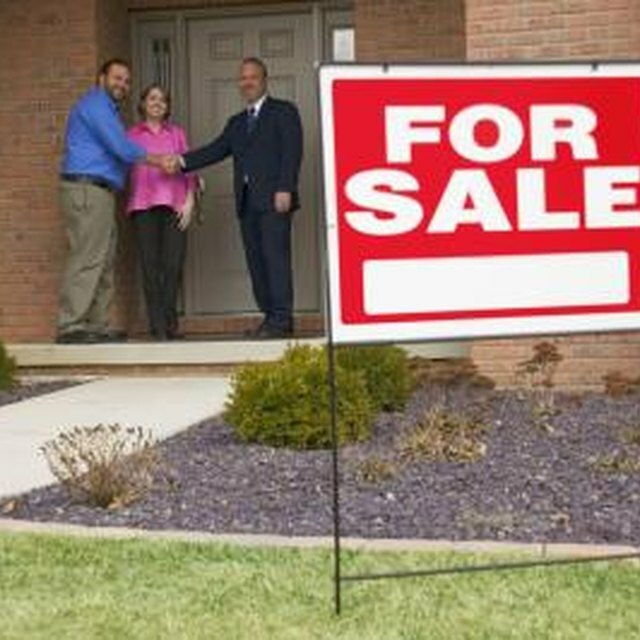 Short sales are famous for being time-consuming. If you're looking for the perfect investment property, waiting might not deter you. If you want to live in the property – and if you want to take possession by a certain date in the near future – for example, when your apartment lease is up in a couple of months -- a foreclosure might be your better option. It can take months just to get an initial response from a lender on a short sale after you've made an offer -- and the process often drags on from there. Both short sale transactions and foreclosure deals are vulnerable to liens other than those held by the first mortgage lender. With a short sale, the primary lender not only must accept your offer, but secondary lenders must do so as well. If your offer isn't enough to cover all liens, secondary lenders might be reluctant to give their approval. Adding a second mortgage balance to the first so everyone is satisfied can drive your purchase price way up. If you opt for a foreclosed property instead, it's possible to buy it at auction only to discover afterward that there's another lien against the property and you don't have clear title. Depending on when the homeowner left the property – and his mood when he did so – a foreclosed house might not be in the best condition. If it's been sitting empty for a while, this raises issues of neglect and even rodents. If the homeowner was angry, he might have deliberately damaged the property. Short sale owners typically live in the property right up until the time of closing, and they want the sale to go through as much as you want to buy the home. The property is usually cared for – at least to the extent that the owner can afford. You generally can't gain entry to gauge the condition of a foreclosure property before auction, but you can usually inspect a short sale home before the sale so there are fewer surprises. The Street: Better Buy – Short Sale or Foreclosure?